Julie Andrews as Maria von Trapp in The Sound of Music, wearing an elegant and demure traditional wedding dress. Six eggs plus one egg-yolk, five or six cups of unbleached flour, one teaspoon of honey, one teaspoon of sugar, one half-teaspoon of salt, one half-cup of warmed buttermilk, one heaping teaspoonful of yeast, and two sticks of butter are M-J's ingredients for brioche. For a finishing egg-wash, you will need a seventh egg and a pastry-brush. Her recipe makes six brioches à tetes and eight full-sized hamburger buns. You will need a stand-mixer with a dough-hook to make M-J's brioche recipe. Mix warmed buttermilk with yeast, add one egg, one cup of flour and the teaspoon of honey. Mix well and cover with another cup of flour. Let rise uncovered for thirty or forty minutes, until the sponge is two or more times its original size and its surface resembles cracked earth. Adding brioche ingredients is a gradual procedure. Begin adding flour, eggs, sugar, salt and room-temperature butter cut into small sections, in alternate measures, gradually, in the bowl of a stand-mixer. Beat the brioche dough with your dough-hook attachment until it pulls away from the side of the machine's metal bowl. Turn off the stand-mixer motor now and then to let it cool off a bit. Mind the mixer as it goes through its paces, because with this vigorous dough-beating it will inevitably move across the work-surface. Ideally, you will beat the brioche dough for thirty minutes. The French word, "brioche" refers to this process. This is the proper texture for brioche dough. This batch is almost finished being beaten after twenty minutes. Notice the sides of the bowl; they are almost cleaned of sticky dough by the slapping motion of the process. The dough is allowed to rest for a few minutes while the stand-mixer motor cools off a little. Ten more minutes of beating will follow. It is now time to unplug the stand-mixer, raise its head, remove its dough-hook, and then, grabbing the machine to stabilise it, bump the stationery bowl out of position with the heel of your hand against its handle. Your brioche dough can now be left to rise in this stainless steel bowl, covered loosely with plastic-wrap. After the brioche dough has risen to two times its original size, you may punch it down and form it into shapes. M-J usually lets hers rise a second time before finally shaping the brioches à tetes and hamburger buns. Once your brioche dough is in a baking- pan, let it rise to double the original size. Then use your seventh whole egg to create a final coating of egg-wash, by mixing it with a half-teaspoon of water and brushing the brioche tops with it, using a pastry-brush. Because of their high butter-content, greasing pans will not be necessary. Bake your pans of brioches on the center-rack a medium-hot oven (375 Fahrenheit) for about twenty minutes. The time and temperature of baking will depend upon the conditions where you live, and the phase of the moon, therefore you must keep a close-eye on the brioche while it is baking. Lower the heat to 350F if their bottoms or tops begin to darken unevenly. Serve the brioche after it has cooled for at least ten minutes. If you are serving them the next day, these gems will benefit from being warmed in the oven first. 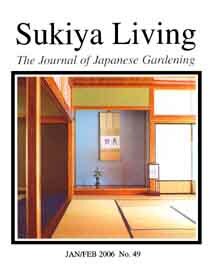 Keeping the dough for more than one day in the refrigerator will sour its taste considerably in an undesirable way. However, brioche dough freezes well. M-J's Note: Men's shirt-cuffs should only show a half-inch. Two times earlier this year I posted my opinion about bridal gowns or wedding dresses*. I said that women of high station wear long sleeves and high necklines. I was vindicated this morning, as the new bride of Prince William wore a very tasteful dress with traditional lace long-sleeves, high neck, full skirt and an actual waistline. I'm very pleased to see my prediction borne out in such a lovely way by an elegant, dignified bride. 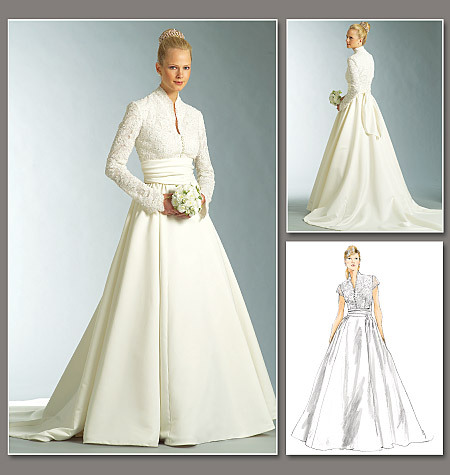 I had even posted a pattern of an almost identical dress to the one Princess Catherine wore, on March 22nd. The Princess' choice of demurely pendulous earrings and no necklace was perfect. Let us hope that women of all ages eschew the strapless, sleeveless gowns they have been sporting of late (which resemble nothing so much as swimsuits with trains), and take a cue on timeless, classic style from a Princess. 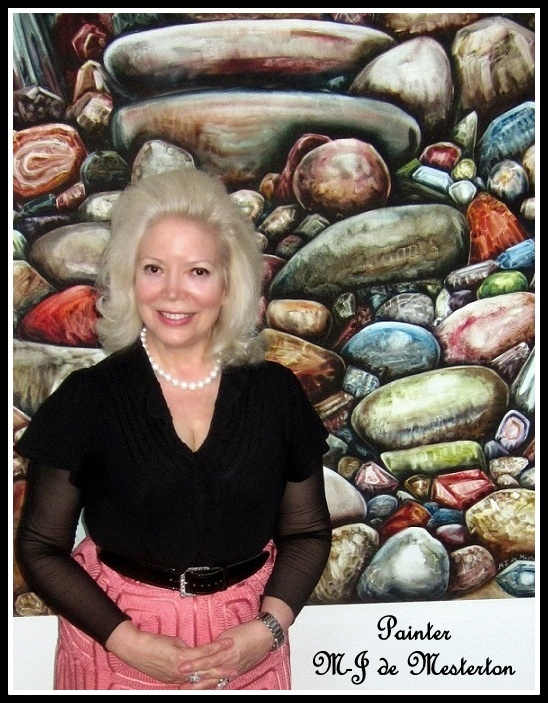 *Click here to read my aforementioned posts about bridal gowns. Two times earlier this year I posted my opinion about bridal gowns or wedding dresses*. I said that women of high station wear long sleeves and high necklines. I was vindicated this morning, as the new bride of Prince William wore a very tasteful dress with traditional lace long-sleeves, high neck, full skirt and an actual waistline. I'm very pleased to see my prediction borne out in such a lovely way by an elegant, dignified bride. 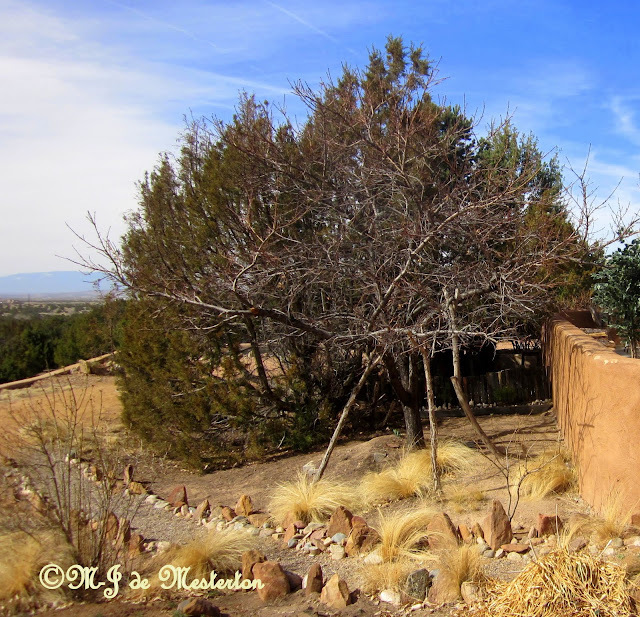 To conserve water and protect this fruit tree's roots from drying heat as well as cold mountain weather, a classic Japanese gardening component, namely large gravel, was employed outside the initial wood-mulched ring that sits twelve inches from its trunk. Not only does gravel look gorgeous during the changing light of day and evening, but it inhibits the growth of competing plants--weeds and "volunteers" that steal precious water to survive. Gravel endures more than grass in dry climates, keeps dusty soil from blowing about, and always looks right. Beets or beetroots can be eaten whole, with their greens, when they are small. This baby beetroot was steamed and then dressed with olive oil and balsamic vinegar. Today, April 28th, is a good time to plant such root crops. Tomorrow, April 29th is also a favourable day for planting these useful vegetables: radishes, potatoes, beets or beetroot, carrots and celeriac (celery root). Plant squash or marrows around the 15th of May for Summer Harvest. 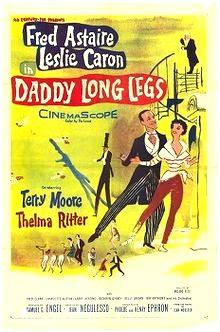 Leslie Caron and Fred Astaire star in the sweet, elegant movie, Daddy Long Legs. The movie features plenty of dancing and glamour. Paul Gallico was a 1919 graduate of Columbia University who first became famous as a sports columnist and editor at The New York Daily News. He interviewed and sparred with Jack Dempsey, later founding the Golden Gloves amateur boxing competition. In his illustrious career as a sports-writer, Mr. Gallico caught Dizzy Dean's fast-ball, and golfed with Bobby Jones. He wrote the book that became a famous bio-pic of Lou Gehrig. 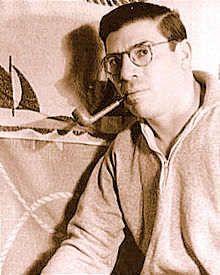 In the 1930s, Paul Gallico began writing fiction. Among his more notable works were The Three Lives of Thomasina, The Silent Miaow, Mrs 'Arris Goes to Paris, The Love of Seven Dolls (this Gallico book became the movie, "Lili" with Leslie Caron, Mel Ferrer and Jean-Pierre Aumont), The Poseidon Adventure, The Cat Who Thought She Was God, The Honorable Cat and The Snow Goose. For those of us who love cats, Mr. Gallico is a beloved story-teller. To read more about the fascinating Paul Gallico, go to this Wikipedia page. Please read the measurements carefully for a perfect fit. This is a suit for an elegant, voluptuous woman. Bring your Baked Alaska to table while the meringue is still hot. Place the platter on a heat-proof pad or trivet. Cut this elegant dessert into sections and serve it as soon as possible so that the ice-cream filling will be cold and the meringue coating remains warm. 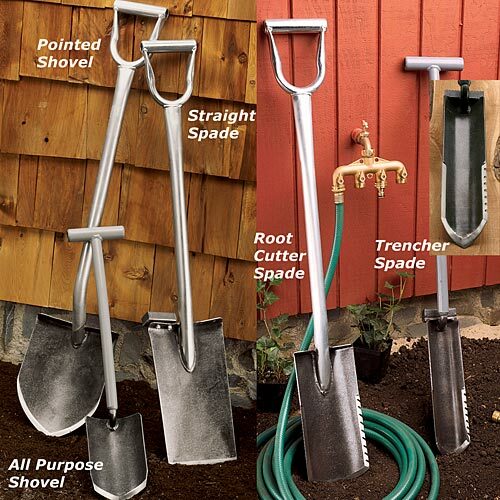 Elegant Garden Tools Made in the U.S.A. The Razor’s Edge is a book by British author W. Somerset Maugham, which was published in 1944. Its epigraph reads, "The sharp edge of a razor is difficult to pass over; thus the wise say the path to Salvation is hard." taken from verse in the Katha-Upanishad. The Razor’s Edge tells the story of an American pilot traumatized by his experiences in World War I, who sets off in search of some transcendent meaning in his life. 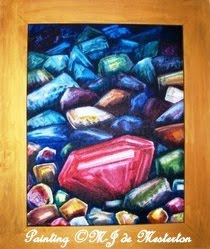 The novel is based upon the life of Guy Hague, an American mining engineer, whom Maugham met during his time in the United States and later on in Paris. A brilliant, beautiful movie was made in 1946 by Darryl F. Zanuck from Somerset Maugham's searching, realistic yet mystical book. 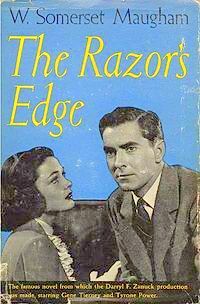 The Razor's Edge film stars Tyrone Power, Gene Tierney, Clifton Webb, Ann Baxter and John Payne. Without giving away plot, I recommend this film highly as an Elegant Survival classic. Kraft Foods has chosen to market Gevalia, the favourite coffee of Sweden, known for its traditional medium-roast. The Swedes' own Gevalia Kaffe brand will be available this summer at more than 20,000 retailers throughout the United States. Gevalia, a $400 million-dollar global mail-order Swedish brand, has long had a following in the U.S.A. "Gevalia is known and loved by millions who've purchased it online because it delivers on its promise of rich, smooth taste that's never bitter," said Domenic Borrelli, Vice President of Kraft's U.S. coffee-branch. "We're telling retailers the good news now. And, we're confident the convenience of being able to purchase Gevalia in stores will attract and delight an entirely new audience of discriminating coffee lovers." Kraft Foods has a $5 billion global coffee-purveying business, which includes the French brand Carte Noire and Jacobs from Germany. Kraft said that Swedes drink more coffee than citizens in almost any other country (rivaling Finland, another Scandinavian country), adding that Gevalia Kaffe is the top Swedish coffee brand. Gevalia is the official coffee of the Swedish Royal Court. In my opinion, having drunk Gevalia Kaffee for half of my life, it is the natural antidote for popular over-roasted varieties that seem to all taste the same (Starbucks' wide variety of dark roasts that are indistinguishable from one another comes to mind, all naturally-occurring flavours having been systematically burnt out of existence). Americans will soon be able to taste real, high-quality coffee without establishing a mail-order contract with Gevalia. The monotony will soon be passé. That is great news for coffee-connoisseurs! 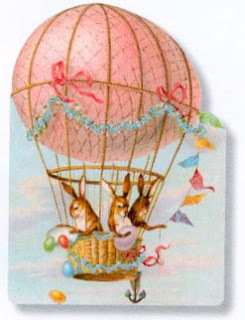 Read about the special wool favoured by author Beatrix Potter. 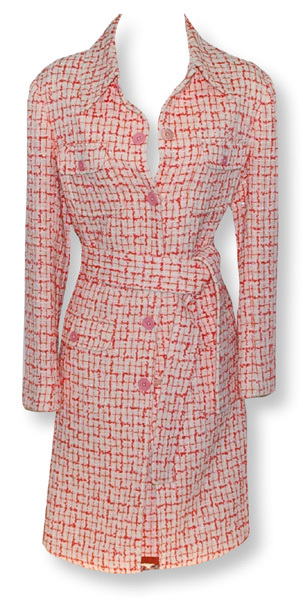 Size 14 UK, this elegant tweed skirt-suit is a versatile, timeless classic made in Great Britain and offered by our sterling friend Peter in Herefordshire. Please read the measurements carefully for both the tweed jacket and skirt. 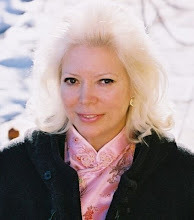 Remember that in this world size numbers do not mean much; what really matters are the specific waist, chest and hip measurements of any garment. Peter is also offering a ladies' tweed vest, which will go with this suit perfectly. Fragrant blue lavender plants in 3-inch pots are available at the Spring Hill Nursery on-line shop. For more gardening ideas, please visit Elegant Gardening. 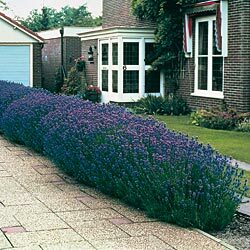 Fragrant blue lavender plants in 3-inch pots are available at the Spring Hill Nursery on-line shop. 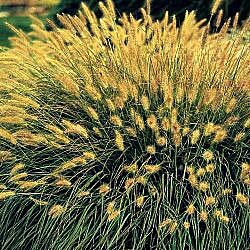 Fountain grass is elegant throughout the seasons. Available in America at Spring Hill Nursery on-line shop. A fancy, cotton organdy Grace Apron by Jessie Steele is a wonderful Mother's Day present or hostess-gift. And it ties at the waist, where Intelligent Design intended our clothing to be anchored. Imagine!